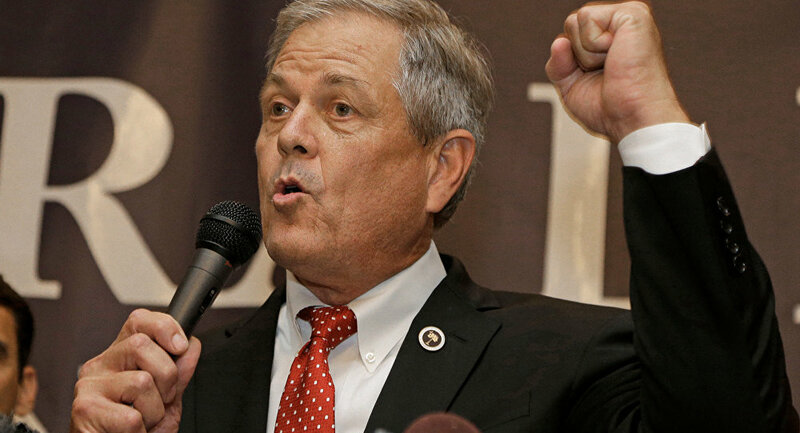 "I'm not going to be a Gabby Giffords," said representative Ralph Norman — referring to a former Arizona congresswoman who was shot in 2011 outside a grocery store during a public appearance — displaying the loaded weapon during a Coffee with Constituents meeting in Rock Hill, South Carolina. Is March For Our Lives the Solution to America's Sickening Gun Violence? "I don't mind dying, but whoever shoots me better shoot well or I'm shooting back," promised Norman, according to The Post and Courier. "I'm tired of these liberals jumping on the guns themselves as if they are the cause of the problem," Norman declared, adding, "Guns are not the problem." The prominent real estate developer turned Republican lawmaker vowed to continue pulling out his gun in public. After Norman's negative namecheck of his wife, Giffords' husband Mark Kelly, a retired NASA astronaut, noted that the South Carolina land speculator is "no Gabby Giffords." "Americans are increasingly faced with a stark choice," observed Kelly, who added that Americans can turn to "leaders like Gabby, who work hard together to find solutions to problems, or extremists like the NRA [National Rifle Association] and Congressman Norman, who rely on intimidation tactics and perpetuating fear," cited by Usatoday.com.